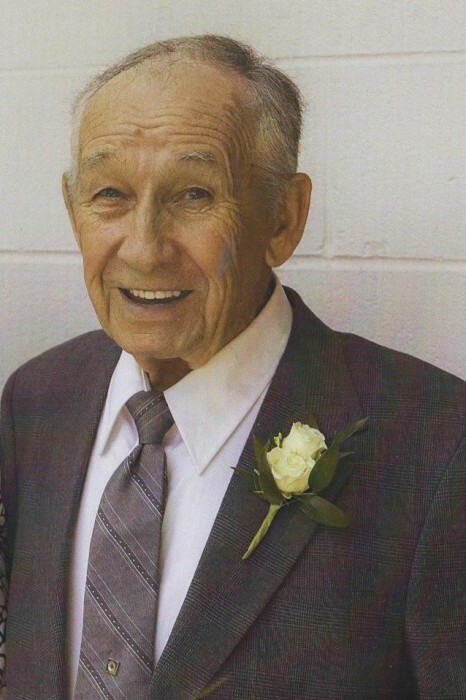 Robert Lee “Bob” McNabb, 82 of Fairview passed away Sunday, February 10, 2019. He was born in Chattanooga, but lived most of his life in the Rossville area. Bob was born to Robert and Thelma Logsdon McNabb. He served his country in the U.S. Army Airborne Infantry as a Parachutist during the Korean War. Bob was a 32nd degree Mason with Thompkins Lodge. His career was with Tuftco Corporation over 36 years until his retirement. Bob cherished his family, loved to tour Fort Oglethorpe visiting all of his friends, hunting and making Bird Houses. He was of Baptist faith. In addition to his parents, he was preceded in death by his sister, Roberta McNabb Poteet, infant son Ronnie Charles McNabb. He is survived by his wife of 61 years, Doris Spangler McNabb; sons Bobby (Emily) and Scott (Angie) McNabb; daughter, Kristi McNabb (Keith) Argenbright; grandchildren, Jamie Lee McNabb (Elliott) Willocks, Lori Ann McNabb (Landon) Carver, Daniel Scott McNabb, Karson Lee and Kayla Marie Argenbright. Graveside services will be held Wednesday, February 13, 2019 at 11:00 a.m. at Chattanooga Memorial Park with Military honors and officiated by Pastor Jim Bennett. Pallbearers will be; Bobby McNabb, Scott McNabb, Daniel McNabb, Elliott Willocks, Landon Carver, Karson Argenbright, Carter Nix and Lebron Cooper. In lieu of flowers memorial contributions may be made to the Fairview Baptist Church Children’s Department, 108 Jenkins Road, Rossville, Georgia 30741. The family will receive friends Tuesday, February 12, 2019 from 4:00 p.m. until 8:00 p.m. at the South Crest Chapel of Lane Funeral Home and Crematory located at the end of historic Missionary Ridges, Rossville.